With this effort by the central bank, it is clear that community-based sensing is a practice open to everyone and that it does not need to be special training or complex exercises, they need simple skills that every human being can acquire a little bit of national self-effort, and a strategic sense in her questions. 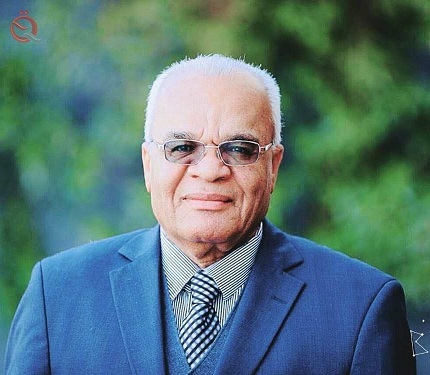 Its practice and any poverty at this level inevitably reflect on its tender, provided that the goal is to provide a safe and secure umbrella for society and Iraqi individual has taken the steps of the central Bank of Iraq, which has made the Iraqi dinar, restore its splendour in the currency market. 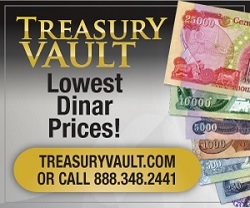 Financial stability and the strength of the Iraqi dinar are aimed at reducing systemic risks, which have emerged as important as the recurrence of financial crises. The International Monetary Fund defines systemic risks as the risk of the disruption of the provision of financial services resulting from the disruption of one or all sectors financial system (e.g. money or banking markets) which leads to financial contagion between the entire financial sectors. In its steps, the central bank has confirmed the capacity Financial system to perform its role as a financial intermediary and a source to provide the necessary financial liquidity in a reasonable balance, to drive economic growth smoothly I've been between the bank. Central, knowing the daily sufferings of citizens, and the non-daily, striving to overcome their difficulties, are the most specific characteristics of those who address responsibility, and are also the origin All the progress, the fountain of every success, and every real happiness, and the corner of every definite elevation at the individual, social and human level. Congratulations to our dinar, and reproach to colleagues who write in financial and economical regard.. The central bank steps have been quietly carried out, and the competent one has been fingerprinted without statements. Worthy of praise and blessing..
After great efforts and exceptional by the Central Bank of Iraq during the past two years in the development of monetary policy tools and the specific procedures of the specialized departments in the Central Bank and direct supervision of the banking sector and its assessment and classification in accordance with international standards in addition to the internal banking operations of banks, which was supporting the implementation of the plans of the Central Bank contributed a large contribution In the recovery of the Iraqi dinar in comparison to the exchange rate of the US dollar, which was one of the main reasons for the new regulatory procedures used to regulate the process of selling the window and determine the last beneficiary and reduce the d T middlemen and speculators in addition to the banks commitment and cooperation with the Central Bank of the supporting and coordinating role played by the Iraqi private banks association and urged the departments of banks on the need to support the directives of the Central Bank in the service of the national economy and harnessing the potential of private banks in the central purpose of which is to work on the recovery of the Iraqi dinar And raise the value of cash and purchasing against the US dollar. It pleases the Iraqi public and strengthens the economic situation and achieve financial and monetary stability. What is important is to work on the continuation of the state of recovery and to take advantage of the economic and investment openness from the countries of the world to Iraq, and especially achieved at the donor countries conference in Kuwait.